This is a follow on article from Execute Formula - Button on Form. 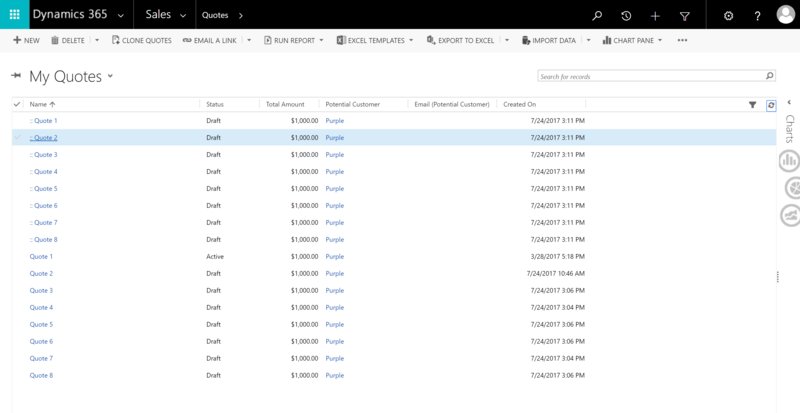 In this article we will attach a ribbon button to a list view on Dynamics 365. Note: After version 1.0.0.530 North52 supports calling other formula types like this, but only ClientSide - Calculation will allow you to return a response to the calling screen. The below formula will clone the existing Quote. Configure a Command by clicking on the + icon. We change the name to new.quote.N52.ListViewCloneCommand. Unlike the form, we will be passing in 4 parameters instead of just one. Drag a button onto the form. 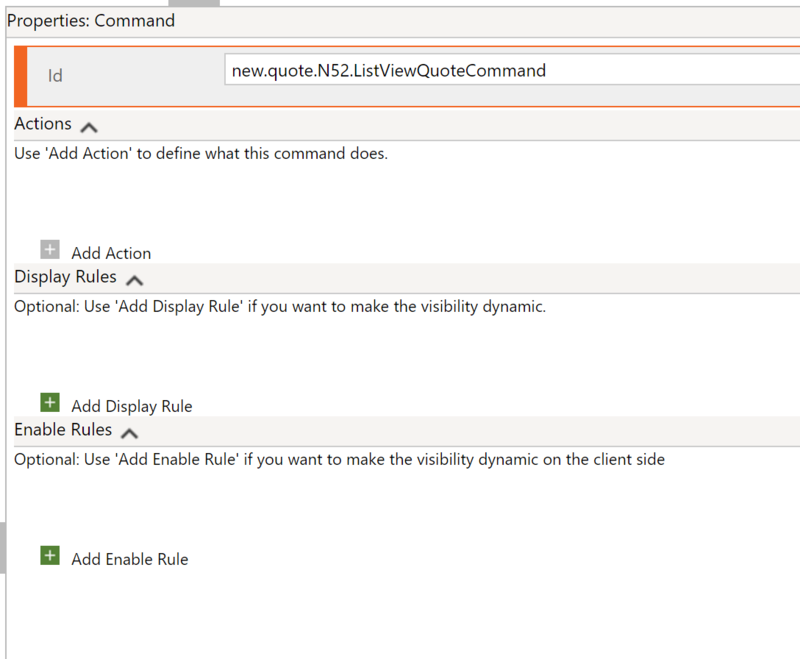 We set the ID to be new.quote.N52.ListViewCloneButton and name it Clone Quotes. Set the Command to be the newly created command. For this example, we will use the create new order icon. 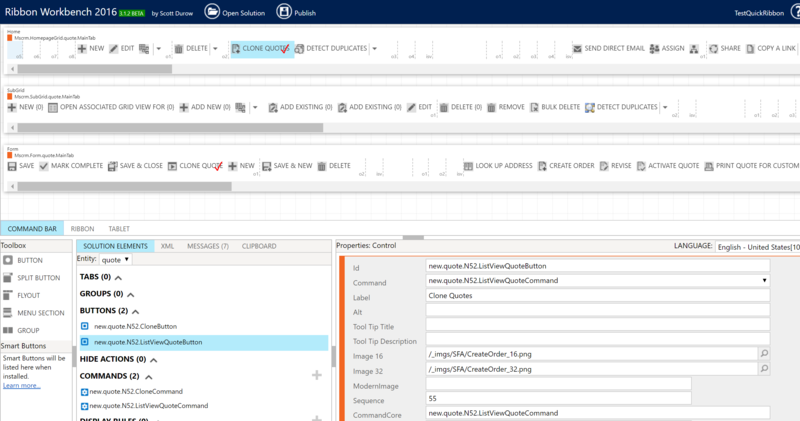 Publish the Solution to Dynamics 365. On the below link there are 8 quote records, we select them all and then click on the Clone Quotes Button. When we refresh the list we can see that all 8 quotes have been duplicated.